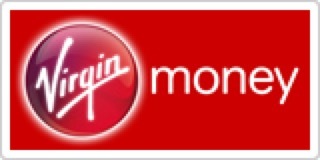 The Agile Coach [from Creative Agile] helped establish a Virgin Money version of Agile that was instrumental in delivering the ambitions of our Mortgage & Savings Lab. The additional Continuous Delivery expertise brought [by Creative Agile] helped put our IT function on a new and improved path for delivery that will provide benefits for years to come. The GDS Academy has been enhanced by the addition of external Agile Coaches [from Creative Agile] by both broadening the topics discussed during classes and by embellishing the materials to keep pace with the wider Agile revolution. We are proud to have [Creative Agile] managing the Accenture DevOps Academy training course. The course is two days and the external instructors add real world experiences to Accenture's learning ambitions. We have never received such positive feedback until [Creative Agile] started to help. [Creative Agile] did a great job for us on our Agile and Continuous Delivery roadmap, rejuvenating the team, entrenching the DevOps and Agile disciplines across the teams, and pushing us ahead with our automation strategy. The Agile/DevOps Principal [from Creative Agile] provided the experience and level-head we needed to launch our service into a major new market. I would like to say thank you for all of your efforts as Lead Scrum Master and Agile Coach in helping to move us forward as a Digital Delivery Centre and for all of your hard work and effort particularly with coaching our inexperienced Scum Masters - I know they will continue to develop and go on to make you very proud! [On our strategic government project] Quite simply the best Scrum Master(s) we have ever worked with. [Creative Agile] helped manage the change involved with our move to continuous delivery, involving massive changes to our Development and Operations teams (amongst others), but in a sympathetic and inclusive way. At Ranger4 we are fanatical about making life on earth fantastic…..[Creative Agile] have helped with this at a number of our clients by doing DevOps training, DevOps maturity assessments and DevOps lift-off workshops….DevOpsTastic! We worked [with Creative Agile] on our global "world class development" project, ramping up Scrum and Agile and merging R&D and IT (or Dev and Ops) to become DevOps before the term was really commonplace. The consultant(s) [from Creative Agile] "white labelled" themselves as Computer Associates to play a pivotal role in the deployment of CA's Service Virtualization technology by using Agile approaches that ensured the e-Commerce development teams could progress their digital agenda. I was happy to trust our reputation with them.